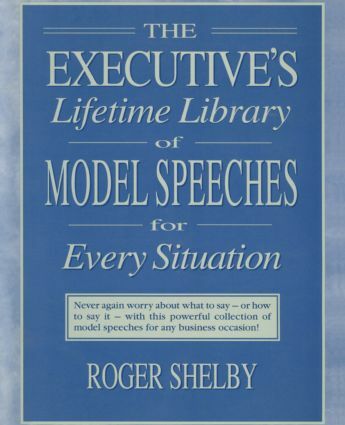 This resource provides over 200 ready-to-use model speeches covering many different business purposes and situations. The library should be broad enough to be used by executives in all types of industry and all size firms. What are the near- and long-term prospects for the establishment of democratic polities in the Soviet successor states? In seeking to answer this question the best indicator would be the healthy development of civil societies of the region, with a growing capacity to assume social responsibility and exact government accountability. The chapters in this volume examine the evolving political cultures of the post-Soviet states.